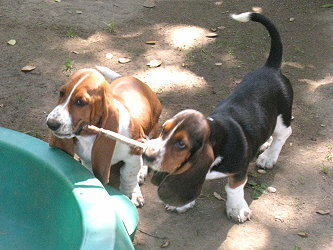 I have had so many requests for pictures of our new puppies that I have created this page to display a few. 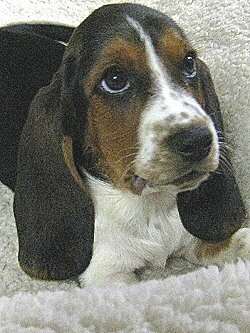 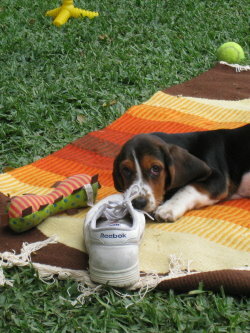 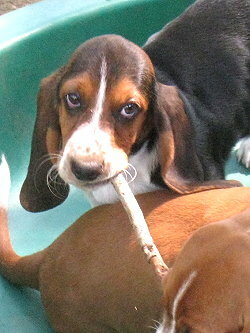 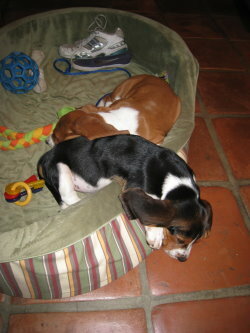 Mamie (the tricolor) was born March 28 and came to us from a breeder in Kentucky. 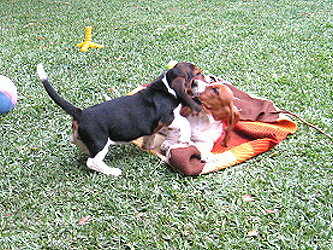 Pearl (the tan and white) was born April 1 and came from Texas. 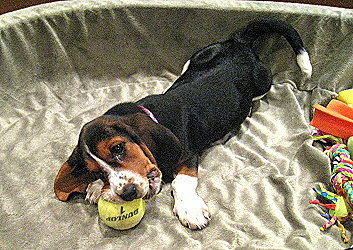 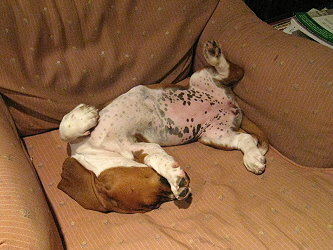 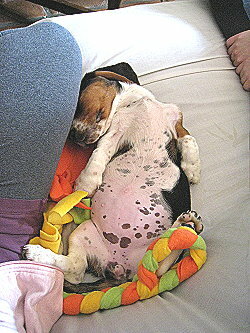 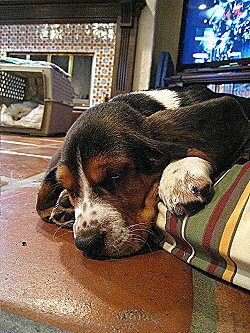 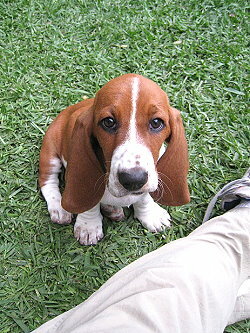 Pearl is about 25% larger and heavier and this will probably always be the case, as Mamie's parents were smallish bassets. 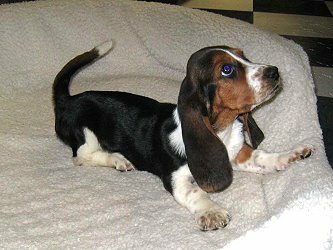 Mamie's kennel name was Pixie, so her full name is Mamie Pixie Eisenhower Charters-Trogdon, and Pearl's kennel name was Bootsie, so she is Pearl S. Bootsie Buck Charters-Trogdon. 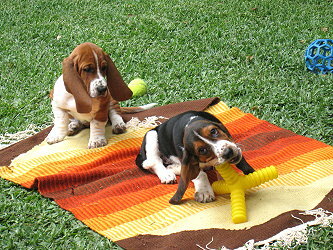 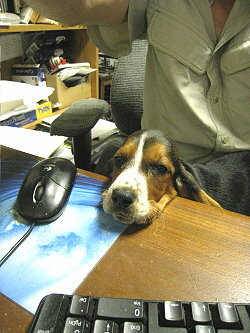 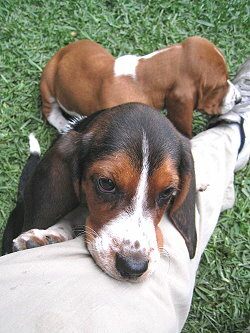 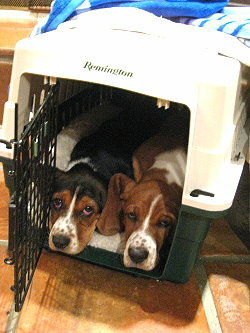 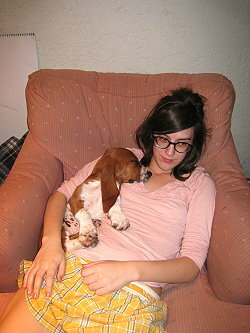 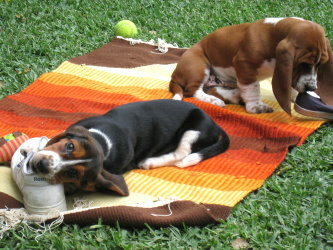 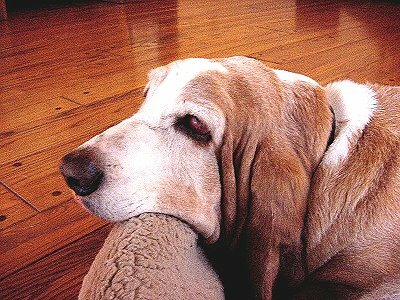 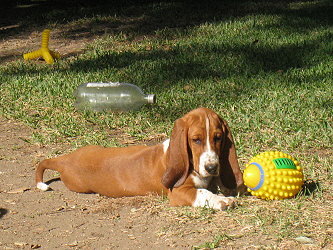 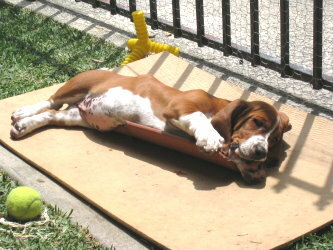 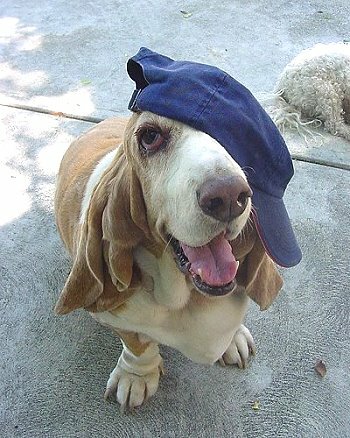 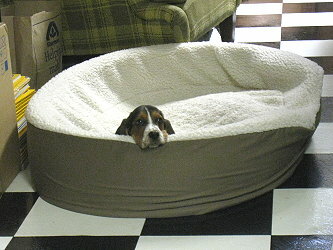 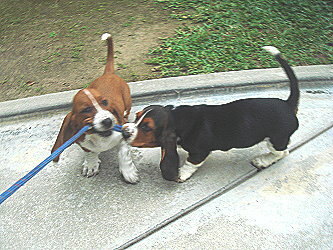 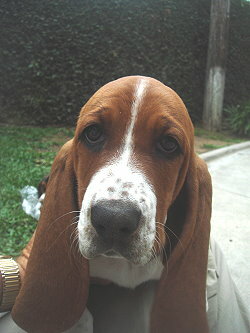 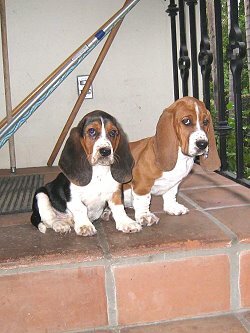 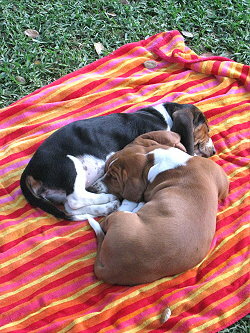 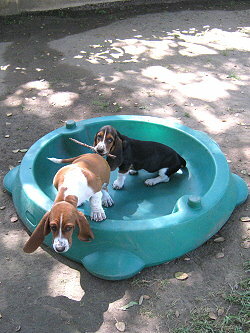 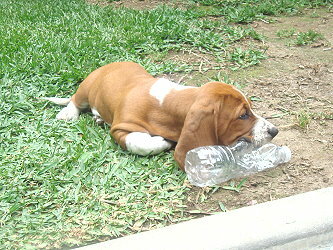 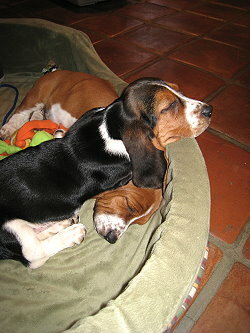 I'm also including pictures of our two old bassets, Maggie, who died last year and Myrtle, who died this past April. 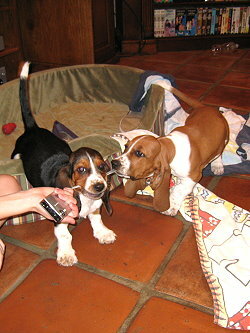 They were sisters and came from a breeder in Riverside County. 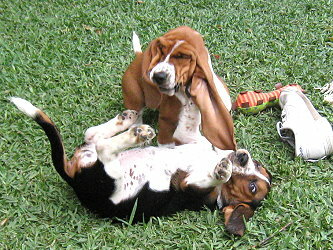 They were 13 and 14 years old respectively at the time of their deaths.